Edward Hogan is an author to watch. 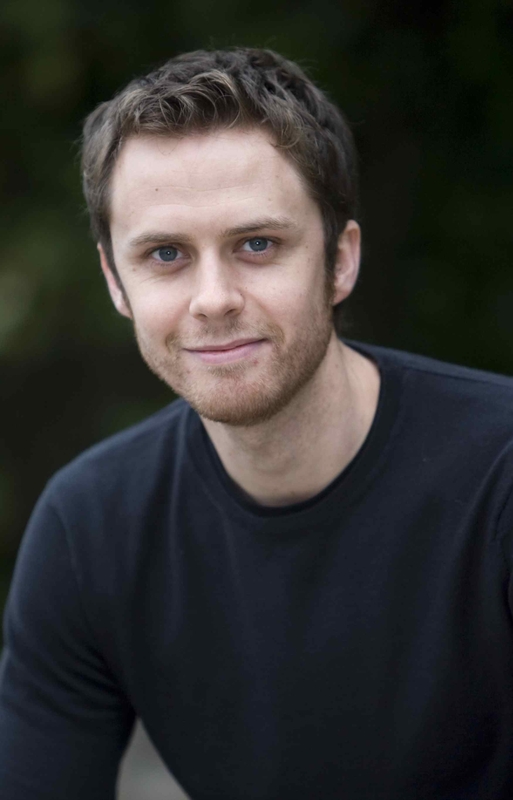 His debut novel Blackmoor was shortlisted for the Sunday Times Young Writer of the Year Award. As I was reading this com pelling story set in a close-knit conservative Derbyshire mining village in the 1980s, I was surprised to find a character with an episode of puerperal psychosis in her history. I talked to Ed about the source of his inspiration. How did you first come across PP & what led you to bring it to your story? I can’t remember exactly when I came across PP, but it seemed to fit so clearly into the life of my fictional family, the Cartwrights. You’ve got a boy wondering about his early life, a father too wrapped up in repressed guilt to tell him, and this mother - a complex and loving woman - who had an illness which the people around her found impossible to confront. I wanted to write about blame, and what a useless thing it is. It struck me that PP - and mental health issues in general - generate a lot of needless guilt and blame. How did you go about researching the experience of PP & the stigma surrounding it? I used the local university libraries. I waded through the medical textbooks, but it was the testimonies of women who had suffered with PP that I found most moving. Just straightforward accounts of what people remembered of their illness, how they recovered, and who helped them. 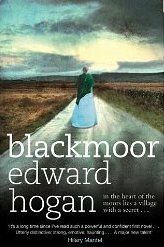 The superstitious, inward-looking and threatened village community of Blackmoor is a stark setting against which to pit the character of Beth. Her ‘difference’ and mental health problems are magnified by her isolation and the small-mindedness of the community. How much personal experience did you draw upon to describe such a setting? Researching the history of the mining villages was important to me. I grew up in a really nice village near Derby, and before I started work on Blackmoor I didn’t know enough about the history of the area. I was interested in what happened after the miners strike in ‘84, and how successive governments ignored the problems in the former mining villages. I’m interested in the idea of community. It can be such a wonderful thing, but when you don’t fit in (like Beth, and - to a certain extent - like her husband George), it can be very difficult. PP is, of course, just an incidental part of Beth’s history & the novel avoids sensationalising her illness. Was this an important aim for you? Really important. When you write about mental illness, it’s easy to accidentally represent a character as nothing more than a list of symptoms. But that’s not how it is, and I hope I didn’t fall into that trap. Beth’s individuality is often mistaken for illness by the other villagers, but I hope the readers can see the difference. George, Beth’s husband, is drawn unsympathetically as a man who represses his feelings & is the tragic character of the novel. How would you summarise George’s reaction & its impact? George is stuck. He thinks he’s too good for Blackmoor, that he’s intellectually above the other men in the village. However, when Beth falls ill, he doesn’t really deal with it very well. Beth is actually his rock, and when she’s suffering from PP, he doesn’t know what to do, and a decade passes before he can think about what happened with any clarity. I wanted to show how such illnesses can have an impact on families if the right information and support is not available. I hope I wasn’t too hard on George. He’s very much a product of his environment. What is your next book about? Do you continue your interest in mental health? My next book is called The Hunger Trace, and it’s out in March 2011. It’s about the relationships between two women and a boy who live on a failing wildlife park on a hill in Derbyshire. Mental health is again a theme, but this time I was slightly more wary about naming the condition. I wanted to maintain that separation between the character and the illness. I think people need that in real life, too.